The only reason to be a Christian is to be configured to Christ... to be saint! The only reason to be Catholic is because the Church is the saint-making machine through her graces, her teachings, her people, and her Head, enabling those who so will to be perfected in love. And... there is an organic connection between our spiritual life and the dogmas. The God who wants to fall in love with us wants to reveal himself to us. In catechesis, we echo all that God has revealed to those he wishes to enter into an intimate relationship with. We do this in a way that allows for the greatest comprehension on the part of our listeners and helps bring about personal conversion. 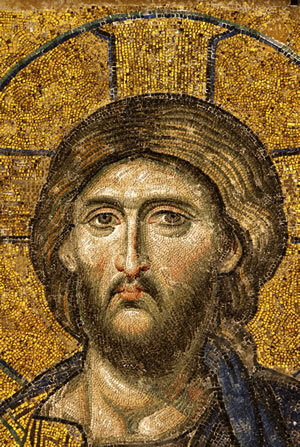 The invitation to such a life configured to Jesus Christ (given gradually, convincingly, prayerfully, and with humility) is the mission of the pre-catechumenate period, the first period of the RCIA process. According to the guidelines in the Rite of Christian Initiation of Adults, during this period inquirers “should receive help and attention so that they may purify their intentions and clarify their desire to cooperate with God’s grace (RCIA 38). Initial conversion is the goal of this period. Conversion, seen as a progressive process, involves various stages of change. Simply stated, conversion involves a turning from something coupled with a turning towards something else. 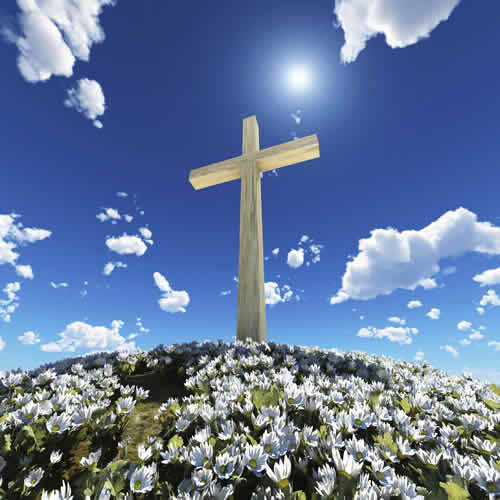 The Christian faith is, above all, conversion to Jesus Christ. During the first period of the R.C.I.A. process (Inquiry & Precatechumenate), we have the responsibility to answer questions and "to give the candidates a suitable explanation of the Gospel" ( RCIA 38). Likewise, RCIA 42 says that one of the prerequisites for someone passing from the first period of Precatechumenate into the Catechumenate is: "the fundamentals of Christian teaching have taken root in the candidates." To learn more, please read our blog entry titled: "The Gospel Message in the Precatechumenate." The period of the catechumenate is the meat of the RCIA process. It should comprise the longest period, which has the goal of training the budding disciple in the Christian life. This work of formation requires great catechesis. By the end of the catechumenate, the catechumens & candidates will have been presented "Catholic teaching in its entirety" (RCIA 78) by means of a "thoroughly comprehensive catechesis on the truths of Catholic doctrine and moral life" (RCIA Appendix III, National Statutes 7). They are also “expected to have undergone a conversion in mind and in action…” (RCIA 120). Their "conversion and faith" should have "become strong" (RCIA 75). Catechesis entails the systematic and organic delivery of what God has revealed (this is also called "The Deposit of Faith" in a cohesive manner that fosters conversion and deep hunger to know the God who reveals such wonders. This brings up the following two-part question: (1) How to teach the truths of divine revelation systematically throughout the lengthy period of the catechumenate while (2) covering Catholic teaching in its entirety. Analyzing Doctrines - What Should I Teach? In this period the focus shifts toward spiritual preparation for the sacraments of initiation. The themes of repentance and holiness are constant throughout this period, and it should be permeated with a spirit of prayer and retreat. Interior reflection (on God’s love for his people, his faithful provision, his call to turn to him fully), should seek to lead participants to repentance, acts of penance, a desire to offer thanksgiving, and more fervent practice of fraternal charity. The elect and candidates should turn to an ever-deepening reflection upon Christ the Savior, focusing on the climactic events of the Paschal mystery, which they will encounter directly by means of the Sacraments of Initiation. Download and read the PDF article titled: Preparing to Receive the Life of God: RCIA Catechesis in the Period of Purification and Enlightenment to learn about how catechesis changes when you exit the period of the Catechumenate and enter the period of Purification and Enlightenment. The grace received from the Easter mysteries propels the new Catholics into the final period of post-baptismal catechesis, called mystagogy. The term comes from the Greek mystagogia, which refers to instruction in the mysteries or sacraments. Ordinarily, this period following reception of the sacraments of initiation lasts for seven weeks from Easter to Pentecost. Mystagogy is properly situated after the reception of the sacraments because only then do our fledgling Catholics, the neophytes, have the grace to understand and appreciate the sacred mysteries of the Church in a more profound manner. The process of penetrating deeper into the mysteries of God continues past the period of mystagogy into the remainder of the neophyte year as they frequent the sacraments and strive for holiness. While the neophyte year terminates the following Easter, this process of continually penetrating the mysteries characterizes Christian existence. We are pilgrims here on earth, sustained and nourished by the Eucharist, a foretaste of the heavenly banquet that awaits all of us. Download and read the PDF article titled: Deepening in the Graces Received - RCIA Catechesis in the Period of Post-Baptismal Catechesis or Mystagogy to learn about the final period of post-baptismal catechesis, which is called "Mystagogy."